Hello and Good Day to all of you. Yesterday, I work up to SNOW coming down with promises to turn to rain in the early afternoon. Enough I say. Let the sun come through! Wahoo … one of the "hot hots" (and there were several) at the Saturday gathering earlier this month was videos—we heard you AND we have scheduled an afternoon hands-on workshop on Saturday, May 12th to create YOURS. How cool is that. Details below. I’m getting emails from some of you that you are getting phone calls or emails flowing with glowing comments about what a rock star you are and you should be featured on "our podcasts" … for a fee. Don’t bite. You don’t have to pay to be on a podcast. Unless you are an "advertiser", a TV show isn’t going to charge you. Put your credit card away. Better yet, don’t take the phone call and/or delete the email blocking the sender. And, if the call came in our your mobile; before you delete it the number, scroll down and click on BLOCK CALLER. Yep, it’ still cool out there in some parts of the country … but book marketing for late Spring and the Summer should be starting NOW … Gulp … OK … what’s and author to do if there is a Book Festival or Crafts circuit in the midst? Expect to pay a booth or table fee. Now, start noodling … what will make your table, your set-up shine and most importantly, be comfortable for you? Some are just a day—others a three-day weekend. Your Book(s) - This may sound obvious, but you need books to sell. If possible, find out how many people are expected to attend—I estimate one to three percent could be buyers at these events—the larger it is, the less the amount. Personally, I would have at least a few cases. Signing Pens – What’s your color? Have plenty with you. Prices – Make sure you create signs --- not large for the price of your book(s). Credit Card Sign – Make sure you have somewhere visible on your table that you take credit cards and which ones. Square Props or other Credit Card Process Gadget – You will need to process credit card payments—swipe via your smart phone or tablet. Props – if you have books for kids, props are a great magnet to attract them. Create them with a character in the book or other all theme. Offer to take pictures of the kids and send them to the parents via your phone. Poster Frames – If you buy a decent frame, it should last you a while, and you can use it for multiple events. Make sure you bring Windex and paper towels to keep the glass clean. Display Tripod - If you have posters, you’ll need a way to display them. Having tripods is a great idea because you can adjust the height and they come with awesome carrying cases. You can have one that is small and sits on the table (or have two—they are handy) or one that is like a flip chart stand. Book Stands - A book stand is a great way to display your books and ensure that they don’t keep falling over. People like to touch, and rarely put the books back correctly. These are absolute musts—have several for display purposes. Table Banner – Having a table banner can attract a lot of attention from a distance. Just make sure that your banner isn’t too big for your table or it will droop and look unprofessional. Your book cover or graphics designer can help create one—think about having the headline read: Meet Author ____________. And add your picture. Bookmarks - Think ongoing marketing—bookmarks are awesome and cheap free giveaways. They also help make your table look more full and they can be used over and over again. Don’t forget to include your website, email, and where to buy your book. Cart or Wagon – You are lugging books and "stuff"—you need wheels to help you and your back. I recently saw a lightweight, yet good size, wagon at Costco for under $50. Don’t miss on this. Tablet and/or Mobile – If you really want to draw the crowd’s attention, putting a slideshow on a tablet can be a great hook. Go ahead—run your trailer over and over. Plus, you can process credit cards here or on your mobile—hmm, maybe you need two tablets. And, on your "spare" you can add to your email list with names inserted. Bags—you can use the plastic ones that multiply after grocery shopping OR … why not just buy some in your preferred color. Being able to give a buyer his or her book in a clean bag is a nice perk to add. Trust me—they will be grateful. Tip—if you see someone with a bunch of books—offer one of our bags to help them out—gets them to stop at your table and you just might buy one of yours as well. Power Source & Plug - Don’t expect easy access to electricity. You may need it. Having your own power source can be a game changer, especially if no one else has one—I’ve found that when I have a multi-plug back up, I have new friends—as "back-up" to watch my table if I need to find the ladies’ room. Ask what the Fair provides. Business Cards - These are essential at pretty much any event. Business cards are a great way to let people know how to get in touch with you. Please make sure your website, email, contact info is included. Flyers / Brochures - If you have upcoming events or just want to share excerpts from your books, flyers are a great way to do both. If your event is not ongoing, make sure you don’t order too many or you’ll be stuck with lots of unusable flyers. It’s also suggested that you do a small order at first to see how people respond. If they don’t like them, change them, and try again until you find a design that is more effective. Awning or Tent if Outdoors – Make sure you know if what’s provided or you need to bring your own—sometimes a colorful outdoor umbrella works well—makes you different; adds a little festive touch—but it’s hauling it—remember that you need wheels to carry some of your items to your locations. Table Clothes - A must-have (at least two)—brand it with your colors—you may even want to have a sign made to display across the front so others can see what your book(s) are displayed with your name. Signworld USA can help here— table clothes hide stuff. Tape – Bring a reel of clear shipping tape. It’s a godsend. Comfy Chair - Another must is a comfortable chair or two. If the event provides, they are using leftovers from somewhere—not sturdy. Shower Curtain – It rains or may be windy. A transparent shower curtain could save your table and books. Bungee Cords and a few Weights – If there is wind, these will come in handy. Plus, you may need to hold down your signs and awning. – These are perfect for holding down your canopy and signs. Trash Bags – bring several—they are handy. SNACKS – those are for you … keep your energy up. You are working! Water – YOU again. It gets thirsty out there. Note: Make sure you keep your table cleaned up and spiffy looking. Don’t load it up with food you are eating. I have a few clients who focus only on Crafts Fairs. Concentrating on book sales during the Spring and Summer months—every weekend is out and about. Cookbooks do very well—one sold over 10,000 in three years offering samplings of appetizers within its pages–one bite and another book was sold! So do Children’s books. Books that attract women are always a hit. And don’t forget … take pictures and post on your website and social media. Good Luck! Tomorrow, Mike O'Neil will reveal new tips, tricks, and tools to use with LinkedIn. So much info was shared that a webinar has been set up next month with Mike. Don't miss it. 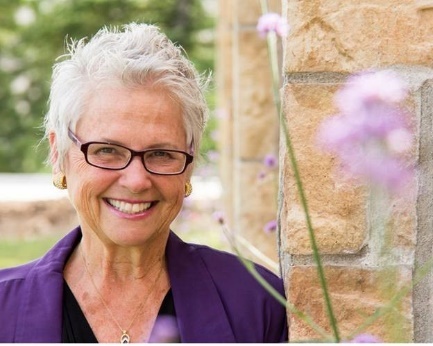 Joan Stewart LIVE – Get the Media’s Attention from the Get GO! Publicity Hound Joan Stewart will rock and roll all of you with her how-tos and TELL ALL on how to grab the media’s attention, nail down a response and SOAR with her media and press kits. You want to get the latest on what’s working and what’s not and add these essentials to your author toolkit. It’s a Game Changer for any author who wants publicity. Question: I have been offered a publishing contract, which I have signed. It is a small publishing house that has limited resources. I have a lot of questions, and I’m wondering if I made a mistake. My answer: Probably. Personally, I wouldn’t take it or have done it. You have been seduced by the new breed of "hybrid publishers." It’s basically the "pay to play" with a different title—you pay all the costs of production; it puts your book into distribution (meaning via CreateSpace or IngramSpark); you can pay to get formal reviews; you do the marketing (labor and paying for it). You do use the companies ISBNs, meaning it is the publisher, not you. After your files are posted online for publication, these companies do little for you. If there isn’t a clear Reversal of Rights clause and Termination of Contract, you will most likely have a problem. For anyone entering into "these contracts", make sure that you have these included. Reversal of Rights means it all comes back to you. This was a normal clause in traditional publishing and started to disappear when print on demand (POD) entered the publishing scene. Books can be considered in print in perpetuity today, one book at a time. Few authors get this. I suggest that a clause be inserted that says, If less than 300 printed books are sold within one calendar year, other than copies purchased by the author, the author has the right to terminate the contract and get all rights for the publication back within 90 days. That means it comes off of Amazon and other online stores for both print and "e" editions. And better yet, please consult an IP attorney who gets what you are getting into. And listening to him or her. You will thank me.